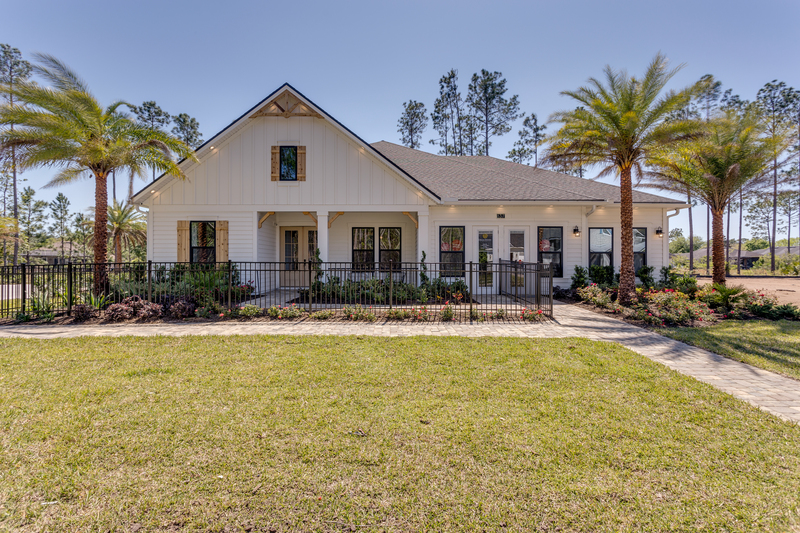 This Beautiful Home is situated in a Small Boutique Neighborhood featuring only 86 Home Sites nestled among Wooded Landscapes and Lakes. A Two-Story Hog a Formal Dining Roomme includin, Butler's Pantry, Wine Cellar, Study, Extended Covered Lanai, Oversized Flex Room, Super Bonus Room, and Spacious Owner’s Suite with Sitting Area and Well-Designed Bath makes for the perfect home for those looking for it all! Take I-95 South, Take Exit 329 for County Road 210 and make a Right turn onto County Road 210, Drive 2.2 miles and make a Right onto Cartwheel Bay Ave. (a Fire Station is on the corner). Entrance to the Community is at the end of Cartwheel Bay. The Model Home is the first home on the right.